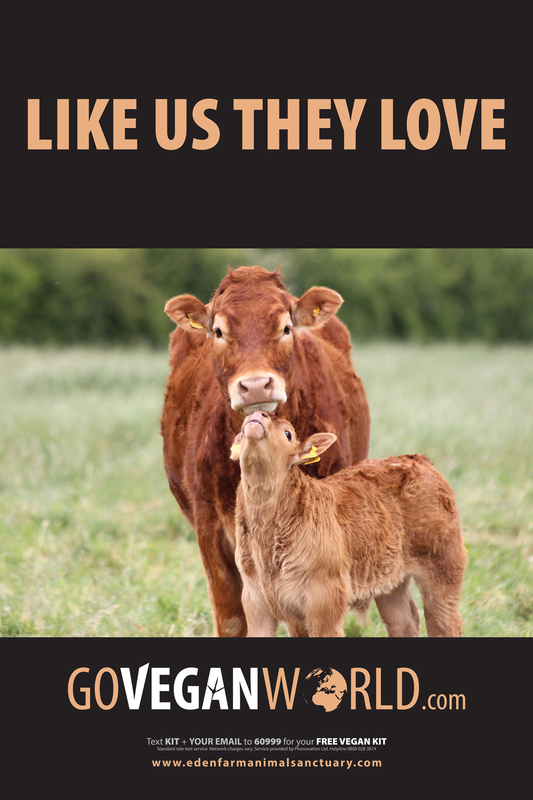 Eden Farmed Animal Sanctuary Ireland launched an international vegan awareness campaign in the UK this week. 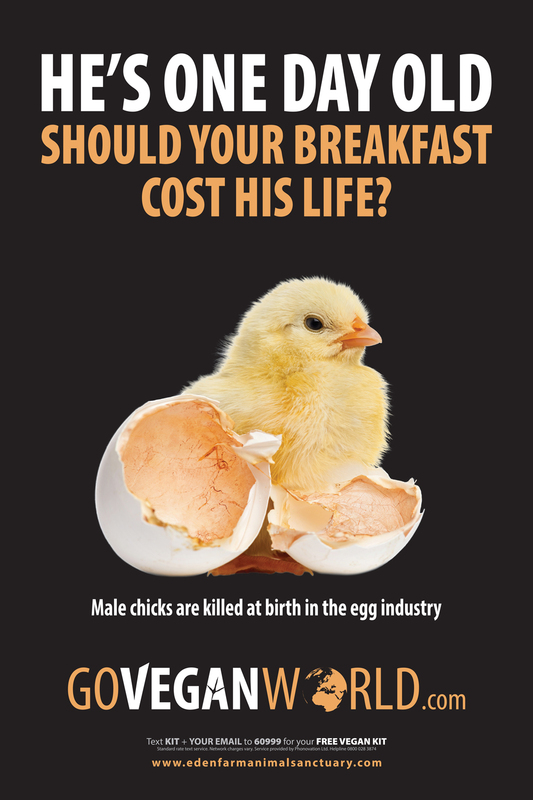 The first eye-catching and thought-provoking adverts appeared this week on buses, metros, rail platforms, bus shelters, billboards, and public conveniences in shopping centres, pubs and service stations. 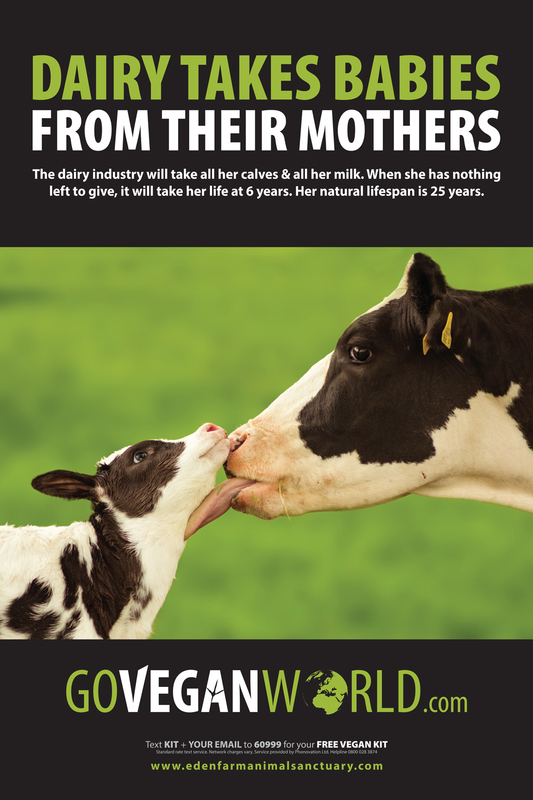 They feature such headlines as Humane Milk is a Myth: Don’t Buy It; They Trust Us, We Betray Them, and Dairy Takes Babies from Their Mothers. 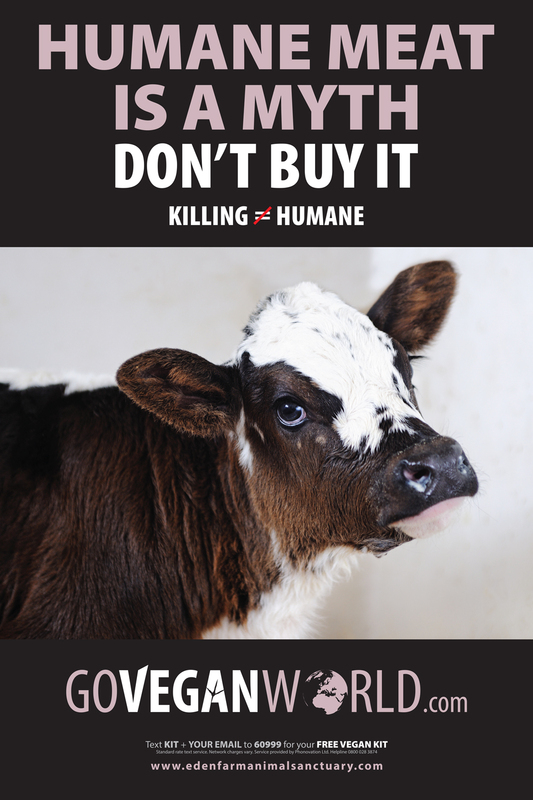 The campaign mission is to dispel the myth that using other animals is humane or necessary. Its call for action is “complete cessation of animal use by humans for food, clothing, entertainment, research or any other use”. The campaign is live from 4th July on public transport and street signs in Newcastle and the North East of England and in public conveniences in shopping centres, pubs and service stations in major UK cities and tourist destinations around the UK. The campaign will roll out throughout England, Scotland and Northern Ireland over the next six to twelve months. “If you asked most people if they think it is wrong to unnecessarily harm other sentient beings, they would answer that it is. This is because we all know that other animals feel. They experience physical and psychological pain when we hurt them. 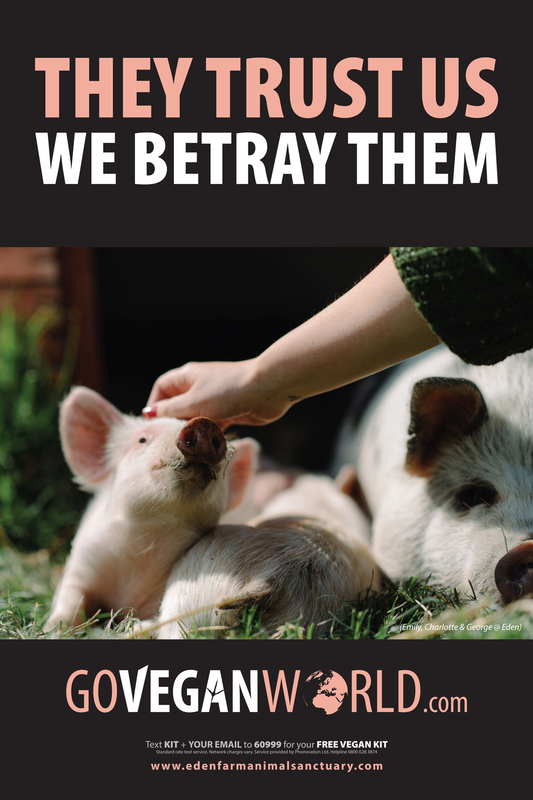 Like us, they have an interest in continuing their lives and do not want to die. Therefore, most people already hold the values that underpin veganism. When we live as non-vegans, we behave in ways that are inconsistent with our deeply held ethical beliefs and values. This campaign reminds people of those values." Many of us are unable to extricate ourselves from our western lifestyles. We are forced to use transport to get to work, or fossil fuels to heat our homes. But we can very easily change what we eat. As animal agriculture is significantly more harmful than the transport sector, making that small change to living as a vegan has very important consequences. Our everyday choices seem inconsequential; but in fact their impact is felt from the micro level of individual animals to the macro level of the future of the planet. 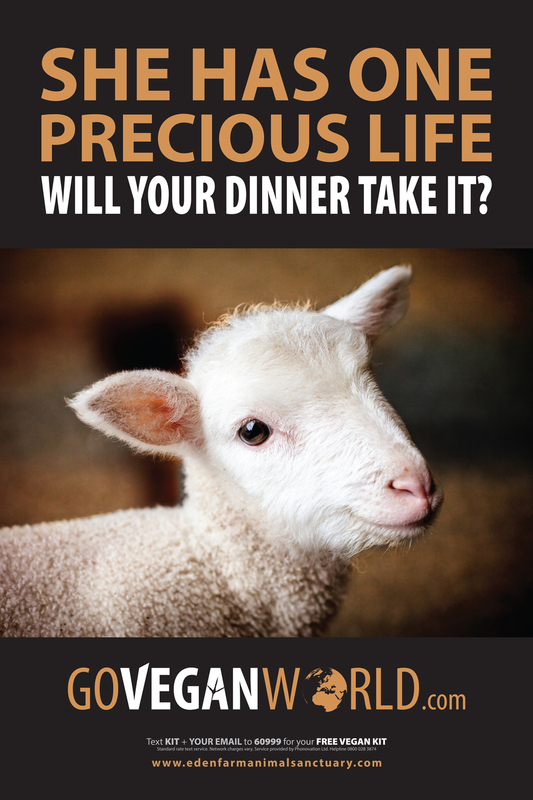 The campaign directs viewers to the www.goveganworld.com where they can research the issues for themselves. It also offers a free vegan kit (Text: Kit and your email address to 60999 or download the kit from the website). 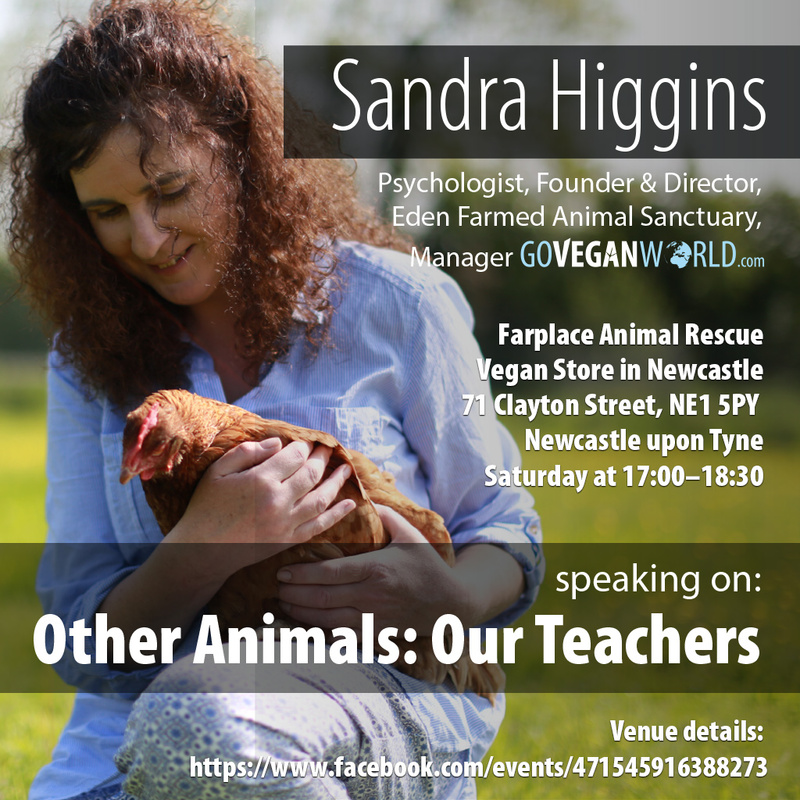 Sandra is speaking about Other Animals: Our Teachers at Farplace Animal Rescue, Vegan Store, 71 Clayton St, Newcastle from 17:00 to 18:30 Saturday 9th July next. 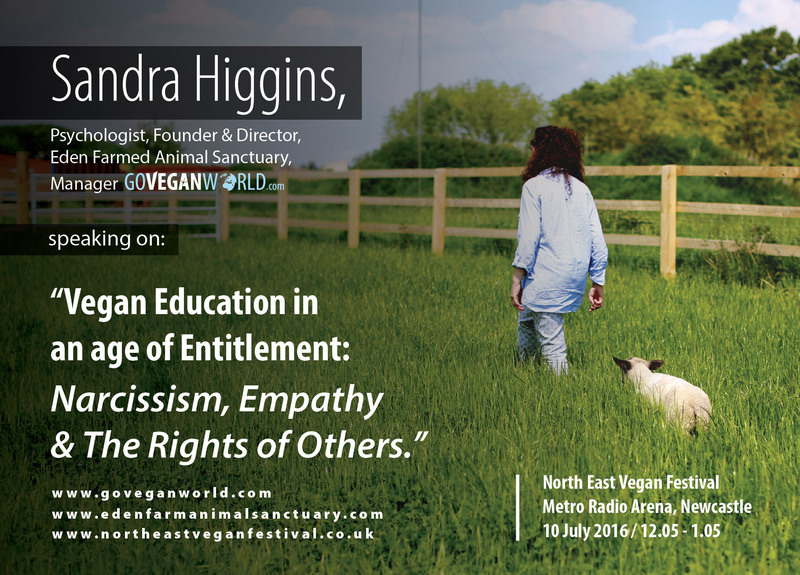 Higgins who is a psychologist by profession is speaking about veganism and the human mind in a talk titled “Vegan Education in an Age of Entitlement: Narcissism, Empathy & The Rights of Others” at the North East Vegan Festival, Metro Radio Arena, Newcastle on 10th July next from 12.05 to 1.05. * For more information regarding media usage, ownership and rights please contact .